A note before we begin: Please do not harass anyone mentioned in our article. This is intended to celebrate the making of and history of of Kage no Mushi. Every time a new generation of Pokémon is publicly revealed, a slew of people come out of the woodwork to attempt to perform an impressive feat: design a Pokémon and release it to the Internet, claiming it to be official. These fake Pokémon often arrived in the form of doctored CoroCoro magazine photos, mock concept art or model sheets, artists’ impressions of textual descriptions of Pokémon, and numerous other sources. Despite the volume of attention that fake leaks get, their lifetime in the spotlight is incredibly short, because the real Pokémon are eventually revealed anyway. So how does one create a fake Pokémon that hangs in the public for years? Simple: create one whose existence couldn’t be proved or disproved… to a degree. Today we investigate the story of “Kage no Mushi”. It’s gotten into a bit of mischief over the years. A friend and I were behind the Kagenomushi hoax. We had been researching the PokéGod phenomenon at the time and discovered that several rumored PokéGods were in fact inspired by very early reports of Gold/Silver. Just as second generation Pokémon like Snubbull, Togepi, Marill, and Ho-Oh directly inspired certain PokéGods, we wanted to create a direct parallel between the entirely fabricated “Shadybug” and “Tricket the Cricket” with an alleged Gold/Silver concept. My friend drew the Kagenomushi artwork purely for fun. I shared the image without their permission, intentionally hoping to revitalize the early days of the gaming rumor mill. We clearly succeeded. TheSolipsistOwl and their artist friend (who we were unable to get in contact with in time for this article, so we won’t say who) set out to work with the simple idea that many PokéGods had taken inspiration from Spaceworld accounts and rumors. As a sort of reverse-engineering of their theory, Kage no Mushi was designed to resemble the fabled PokéGod “Shadybug”, described as an insect that protected itself with a leaf. Claiming that it had been saved from somewhere on the Internet and preserved on a hard drive since then, Kage no Mushi was posted publicly on DeviantArt on TheSolipsistOwl’s “digit-aria” account in 2011 (unavailable now), and then spread via the Tumblr blog fuckyeahbetapokemon. The drawing’s style imitated that of the original artist, Deme-rin, who drew the Spaceworld Pokémon after attending the event. In the 2000s and onward, however, many people had come to believe that Deme-rin’s fanart was actual concept art of the Spaceworld Pokémon. The watercolor-like style of Deme-rin’s work lent itself to resembling that of Sugimori’s, even if the art was simpler and cuter-looking. Kage no Mushi’s artwork was also low-quality and pixelated, resembling the quality of images on the Internet circa the late 1990s. Kage no Mushi was taken at face value by many people, and it spread widely, especially during 2012. It appeared in videos and posts by various people covering the Spaceworld demo, who often also assumed that the fanart was concept art. A notable example is TamashiiHiroka’s “Gen 2 Alpha” video from 2013, which shows Kage no Mushi grouped with Deme-rin’s art. A lack of solid information or a centralized place to discuss prototype Pokémon allowed Kage no Mushi to propagate among the fledgling “Beta Pokémon” community. TCRF didn’t have much on Gold and Silver’s prerelease at the time, and the only active researcher anywhere was Celebi23/Eisnerguy1, whose site on the Spaceworld demo was closed when the web.me service was shut down some time in 2012 or 2013. People without Japanese language knowledge were unable to notice that Kage no Mushi’s name was a literal translation of “Shadow Bug” and had little resemblance to real Japanese Pokémon names. Finding the source of the original fanart on Deme-rin’s website would have also been a difficult feat, not to mention that if one was to find the site at the time, the images would be blank, as they weren’t archived by the Wayback Machine. Most visitor accounts of Spaceworld were only translated brokenly through Google Translate or couldn’t be viewed properly due to the Shift-JIS encoding. Ultimately, non-Japanese researchers would have had immense difficulty determining the legitimacy of Kage no Mushi. Despite all of this, people caught on to the deception fairly quickly. In 2013, the owner of fuckyeahbetapokemon discussed removing the original post, based on the track record of their friends, as well as knowing that the potential artist behind Kage no Mushi had a history of making fakes. They ended up appending an edit to the post warning viewers that the information was of dubious credibility. Even with this disclaimer, Legendary Starblob commenting on it as something they didn’t recognize, and its subsequent removal from Bulbapedia, a significant amount of content featuring it wasn’t updated to edit it out, and so it lay latent in the public consciousness. […] The person who submitted the Pokemon in the first place has a friend who can both emulate the art style used for the Alpha Pokemon, and has tried to fool me once before with a couple of images from said friend. Kage no Mushi, additionally, has little to no other sources from where it was possibly seen by other people-while the others have all had people who’ve recalled seeing their designs around or posted by official sources. And finally, my friend who submitted this ‘unreleased Pokemon’ to me, also has a HUGE liking for trying to convince people that the rumored ‘Pokegods’ from the haydays of the Pokemon fandom in the late 90’s on the internet are in fact real. The Kage no Mushi hoax trickled into various communities in other languages, too, even when it was fading away in the English-speaking sphere of the Internet. Up until 2017 and even after the Spaceworld leak, a significant amount of international content still mentions or mentioned Kage no Mushi as a prototype Pokémon. It just doesn’t seem like it’s ready to die just yet. With the release of the Spaceworld 97 prototype in 2018, it was finally proven without a doubt to the public at large that Kage no Mushi had never been a real Pokémon. 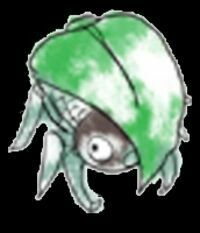 It still lingers on the Internet, though: Kage no Mushi has its own entry in rarely-updated places like the Lost Pokémon Wiki, where a rumor was added that it would have evolved from Parasect, giving it an alternate name, “Parasort”. Popular YouTube videos have been left up, as well, even if still-active content creators like TamashiiHiroka uploaded follow-ups with corrected information. Ultimately, these leftovers serve as markers where this grand fakemon once stood proudly. Kage no Mushi now lives a quiet life in archives and annals, having retired from being what was probably the most widespread engineered fakemon to exist. Happy April Fools’ Day, and may the spirit of good-natured fooling live on. Even if Kage no Mushi is fake, I love both their history… and their design. Amazing how the culture has evolved. I remember the early days, chockers with rumours. Most of them unbelievable. In hindsight, my first exposure to shitposting was Supercheats, with their Pokegod stuff! For a site that puts emphasis on authenticity the celebratory angle of this article (just look at that last paragraph) is pretty bizarre. Maybe I’m a “no fun allowed” person who would rather see nobody spread lies (there’s enough made up junk in the proto game scene as is), but I argue strongly against presenting false information and never admitting to doing so like the authors of the Fakemon here. Given the scandal over the R/G/B proto assets, publishing this piece was risky. Personally my trust in you guys remains (this did skeeve me out though), and I think it would be fine if it was written more neutrally. Fakemon are cool, although the really well-done ones just make me sad, because it’s not real and therefore isn’t a Pokemon I can catch and train unless the creator is going so far as to make a hack. Fakemon created to deceive people immediately cease being cool. I’m never amused by a hoax, Pokemon or otherwise (I hate April Fool’s Day because of the people who tease others with nice things that don’t exist). They spread misinformation (People trust Bulbapedia and this guy’s fake Pokemon was on there. Not cool.) and make life harder for people trying to find legit obscure information. And, uh, yeah, that’s two articles in a row about fakemon being presented as real (although you did clean up the mess from the first one). Been seeing some interesting snippets on the Twitter though so good work there! What happened to the analysis of the leaked ROM? Particularly anything to do with Silph. There’s a lot to be done. We are still working on it!